Have we told about how Android lets you pick and choose different components of the operating system such as its keyboard, launcher, dialer and first-party apps such contacts and gallery? If you’ve been following my app reviews lately, you probably have heard me saying this multiple times. I like repeating myself on this conceptual difference between Android and iOS because I believe more people need to know about this. Anyhow, (with reference to the app being covered in this post) Android enthusiasts tend to prefer third-party launchers over stock ones for two simple reasons: performance, flexibility or both. 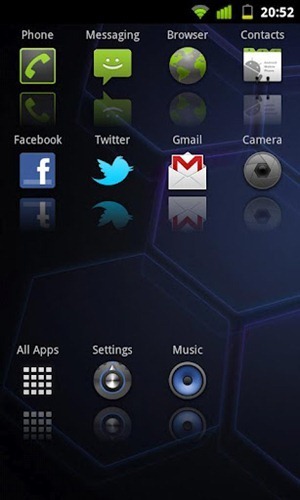 We covered Nova Launcher and Faster Than Light Launcher which, respectively, are flexible and fast. We came across a new launcher today called Lightning Launcher that, as you can guess, focuses on being light on resources. Check it out after the jump! [Lightning Launcher 3] has been designed to minimize memory usage and be fast: the more memory you have for your applications, the faster they will run. 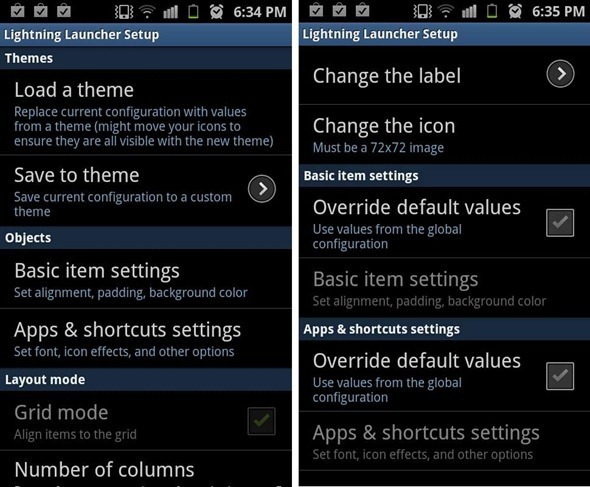 In other words Lightning Launcher has been built from the ground to preserve your phone’s resources and keep it smooth. We’ve tested the app on a Samsung Galaxy S II on Android 2.3 Gingerbread and can confirm that it works exactly as advertised. When Lightning’s developers say they’ve built a lean and mean launcher, they mean it! Lightning Launcher is, hands down, the fastest launcher this writer has ever used. It’s core functionality comes in a tiny 45KB file while you can add on functionality such as the ability to place installed apps/widgets on home-screen etc. with additional package downloads. So, it’s fast, what else? Despite appearing overly minimalist at first sight, Lightning Launcher is heavily customizable. You can do major customizations such as installing themes and hiding status bar to minor tweaks such as the ability to scale, rotate icons and widgets, change app font, label, icons, change grid layout etc. 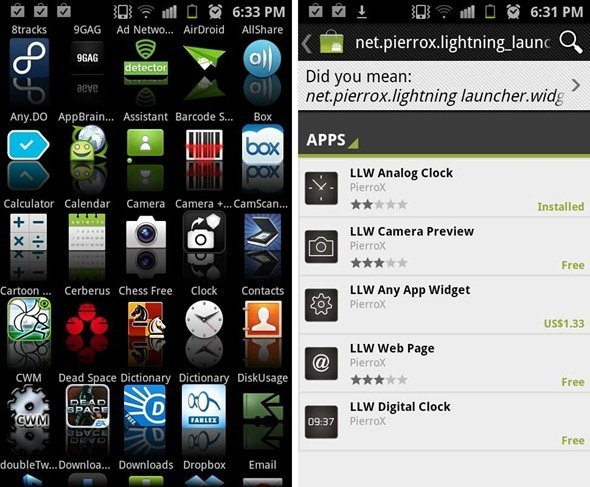 Lightning Launcher is highly recommended to those of you who want maximum performance without sacrificing flexibility. You can download it for free from the link embedded below.